You’re busy and you don’t have much time to spend on blogging. Sounds familiar? 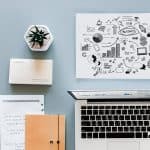 Unless you’re a full-time blogger, allocating your time to manage your blog outside of your daily job is hard. With only a couple of hours in a day, you need to be smarter about how you could maximize your time and do the most out of it. It’s not easy when you’re still learning about blogging. The good news is there are tons of useful Chrome extensions you could install that could help you be more productive with the little time you have. 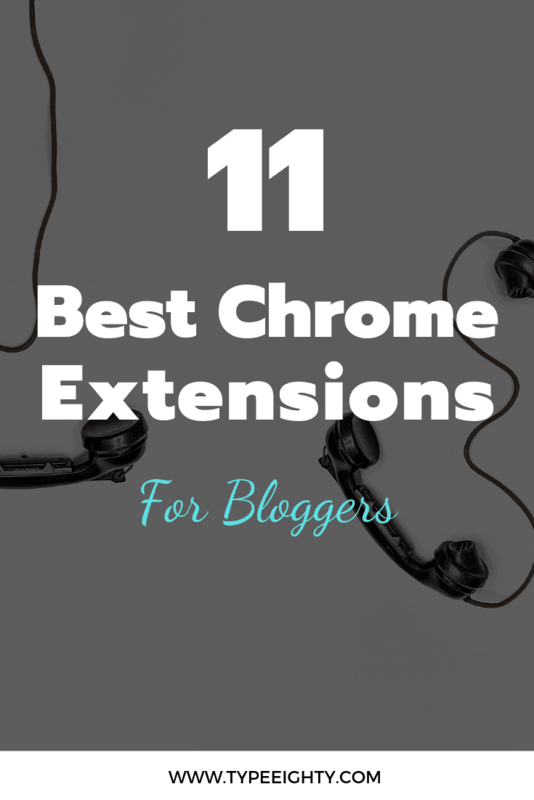 You could do things in a smarter way and achieve more things with these 11 best Chrome extensions for bloggers. You’ll be surprised how much time you could save. I save the best one for the last, make sure you check that out. Do you spend too much time trying to find an email address when you browse a site? Email Hunter is will save you a lot of time finding an email address on a site. 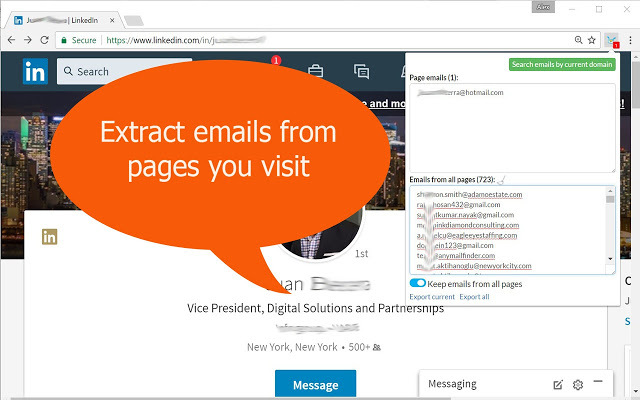 It’s a great tool for doing outreach that helps to find the right email address in no time. When you visit a website, Email Hunter will start searching for email addresses automatically. How easy is that. By far the best Chrome extension for capturing screenshot on Chrome browser. You could capture part of a page or the entire page with a click of a button. This tool is not just for screen capturing, you could annotate screen captured with rectangle, circle or arrow and blur any sensitive info before saving it as an image. You could do everything from your browser. Broken Link Building is one of a great link building strategies. With Check My Links extension, you could quickly find broken links on any page with a single click. Not only that, you could use this little tool to fix any broken links on your blog and avoid any Google penalty that might affect your search engine ranking. This is a must-have productivity extension for Chrome. How many times have you been guilty of wasting your time browsing the internet and not get work done? It happens a lot. 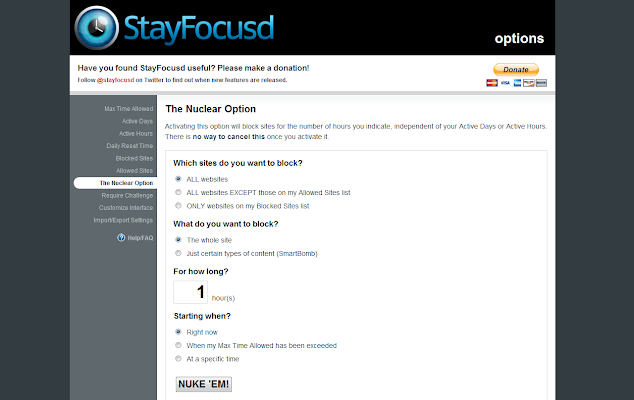 StayFocusd helps you ‘stay focused’ by restricting the time you have to access those time-wasting websites. First, you choose what websites you want to block and set a daily limit on the amount of time you could visit these websites. Once you’ve used up your time, you won’t be able to access it till the next day. If you have a hard time to stay focus on doing your blog, I highly recommend you to give this tool a try. I love Grammarly so much. It has saved me countless time from making stupid silly mistakes on my writing. Grammarly is like your English teacher constantly checking what you’re writing and making sure your writing is error proof. How many times did you close a website without reading it because it has so many writing errors? You could register for a free account and start using this extension right away. 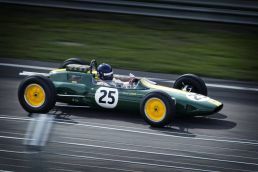 By installing this extension, Grammarly will check for your spelling and grammar almost everywhere you type on the web including the WordPress editor. Take your broken link building to the next level, LinkMiner helps you make a smarter decision so you don’t waste time building link on the wrong site. LinkMiner is another broken link checker extension this list that does more. It lacks a beautiful design like other plugin but it doesn’t discount on its features. 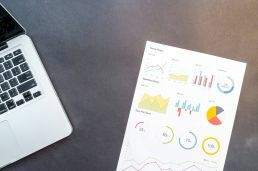 LinkMiner displays the link and social data of any link in the page and it shows how many total or external links on a page. It’s a great companion to Broken Link Checker extension. This extension will save you time finding out information of the website or the page you’re browsing. 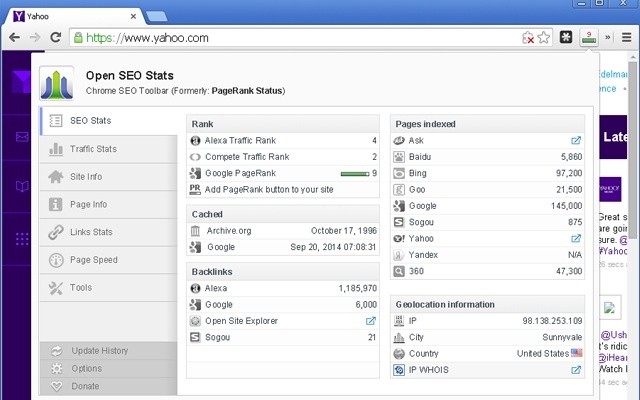 Open SEO Stats is a powerful SEO extension that would save you time and money. It gives you a lot of SEO information for a website with a single click. You could find information such as the number of pages indexed, number of backlinks. You could also see page info such as meta title, descriptions, h1, h2 tags, and the number of links on the page. It has a built-in page speed checker too. But if you’re using it to check your site speed, I suggest refreshing the page a couple of times to get a more accurate estimation on the page speed. 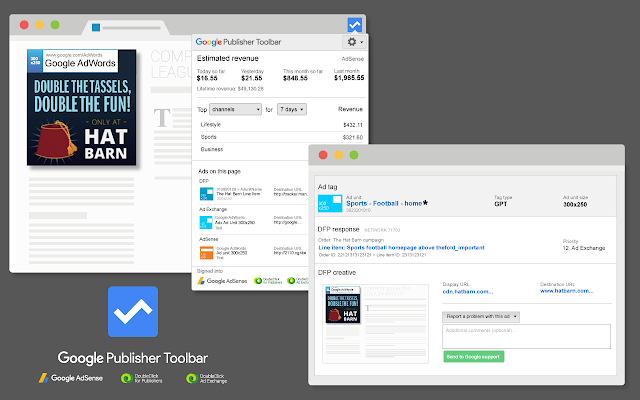 Google Publisher Toolbar could save you time and effort if you’re using Google AdSense on your blog. This extension gives you quick access to information on your Google Ads and your account overview while browsing your own site. By adding an overlay to each of your Google ads, it lets you see basic information about the ads. Simply click on the overlay to view a more details pop-up of the ads. It saves a lot of time managing the ads on your site. 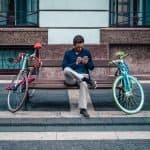 Managing and scheduling social media post could be time-consuming and energy-draining exercise. It’s probably one of the blogging tasks that take up the most of your time. As you should know blogging is not only about creating content but also promoting your content on social media. 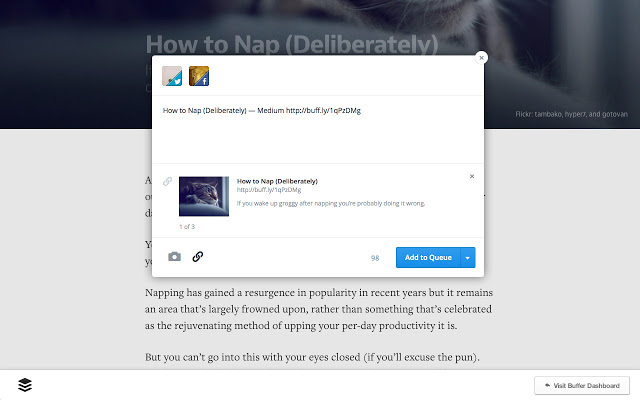 With its Chrome extension, you could start sharing via Buffer with a single click. Buffer currently supports Facebook, Twitter, LinkedIn, Google+ and Instagram. It has a built-in analytics tool so you could measure how effective is your post. Set different schedules for each social media network. Sit back, and start sharing. 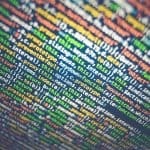 I’ve always used Pocket to save a website to read previously before I switched to Raindrop.io. Raindrop.io is a great extension that could save you time managing your bookmarks or saved pages. It does what Pocket does but a lot more. In a nutshell, it’s your bookmark manager on the cloud. You could save and organize any pages on Raindrop. You could even add tags to the page so you could search for it easily. 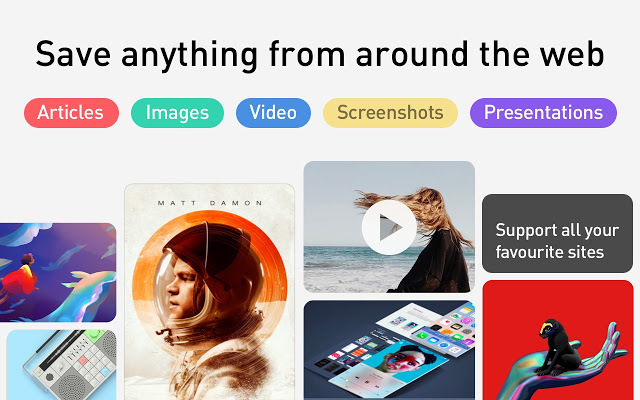 Raindrop.io is super easy to use, you could share your collection with others publicly or even privately. It’s the ultimate share button for the web. Do you do keyword research before you start writing content? 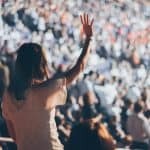 Do you what keywords people are searching for? One of the biggest reasons that no one is reading your article is because you don’t write what people are searching for. Keyword research is the most important part of SEO and it takes time. The good news is an extension for that. 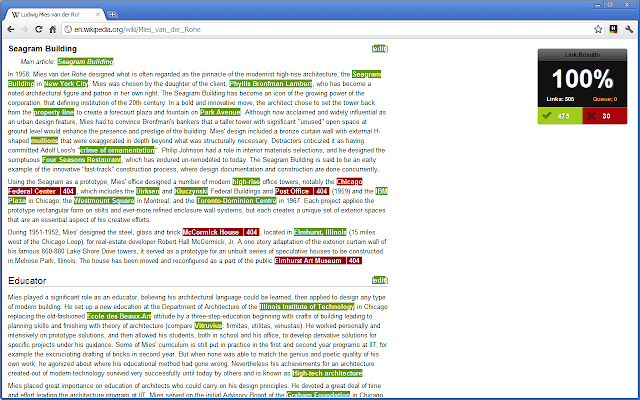 Keywords Everywhere is a free Chrome extension that gives you keyword ideas everywhere. Once you’ve it installed, whenever you do a search, you’ll see search volume and CPC next to the keywords. I hope these extensions will help you save time and be more efficient in blogging. 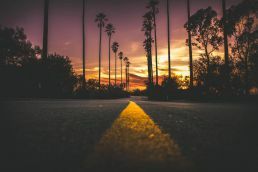 There are tons of useful Chrome extensions available on the Chrome Web Store and it’s not limited to only these 11 extensions that I am using and recommend as it doesn’t slow down your Chrome browser. If there’re any extensions you found useful and it’s not on the list, let me know in the comment below. Great post! I’ve bookmarked it to save for reference. You’ve got some good ones here that will come in handy for bloggers. Thanks for sharing! Thanks, Trace. Let me know which one works best for you!